The Fitnex Kids XT5 Treadmill is built to fit the needs of kids cardio workout. 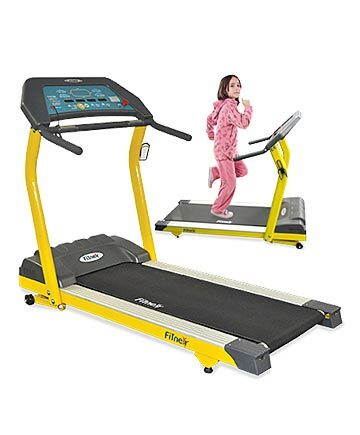 The Fitnex Kids XT5 Treadmill includes a console with LED display and 7 feedback options, along with 4 built in programs. It features an 18” x 52“ running belt and 3/4” thick deck with SDS system cushioning.